It’s shaping as your average Monday. A quiet start to the week and, in the evening, a high-fibre diet of televisual roughage served by the ABC. In walks the Communications Minister, fittingly, to shake up the schedule. Except he’s not the Communications Minister any more. He’s challenging the Prime Minister for his job. With that announcement, he achieves something his leader desperately wanted but could never deliver. He takes Q&A off the air for the night. Just one of the evening’s many ironies. The press gallery analysis and number counting begins. On Twitter, people find other ways to entertain themselves and try to come up with the hashtag that captures the zeitgeist. #PutoutyourSpeedos is an early favourite. People adorn their front doors with budgie smugglers. It is quickly trumped by #putoutyouronions, a mocking tribute to a Prime Minister who eats raw, unpeeled onions for personal entertainment. It’s a delicious addition to a dish already running to the spicy side with Turnbull’s free character assessment of his leader as an economic boofhead and Jeff Kennett’s free character assessment of Turnbull as the Liberals’ Kevin Rudd. 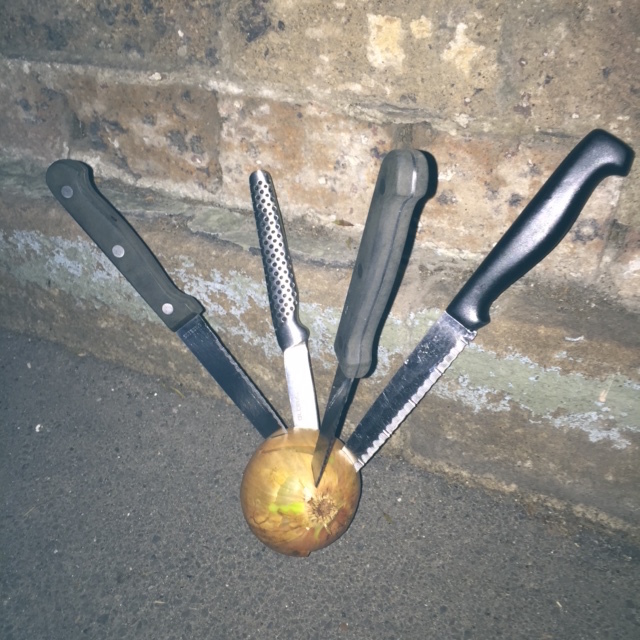 Across Australia, people place onions outside their front doors in hopeful anticipation of their Prime Minister’s demise and a new leader with more layers. As so often happens on Twitter, the hashtag takes on a life of its own and goes off on some unusual tangents. The word ‘schadenfreude’ gets a workout. Mock pictures of Julia Gillard eating popcorn do the rounds. And then there’s this. Bill Shorten has a brain snap and fronts the media. Napoleon once advised ‘never interfere with the enemy when he is in the process of destroying himself’. But Bill was a key figure in the last two Prime Ministerial rollings and he’s drawn to this one like Pavlov’s dog. It’s a showstopper of a press conference. In that it almost stops the show. Bill wheels out his default monotone at half its usual speed. He’s the only person on the planet that can make a leadership spill boring. It’s a great advertisement for a two-for-the-price-of-one leadership change. Tony Abbott finally shows his face. He’s had a couple of hours to prepare, so we’re expecting something special. No we’re not. Less than a minute in, Tony reminds us that he stopped the boats. He repeats it. There’s no teaching this old dog new tricks. Not this late in the game. ABC reporter Chris Uhlmann says the Prime Minister we wake up to may not be the one we went to bed with. Those are his actual words. Uhlmann being a pretty reliable source, I check there’s not a Prime Minister in my bed. Wikipedia’s entry on Sport in Australia receives a cheeky edit. Leadership challenges make for great spectator sport. Blanket coverage, from every angle, all on free to air. And then it’s on. A march of Liberal Ministers and members down a carpeted corridor, where they disappear behind a door to decide our fate. Going in, Tony seems to have more friends than Malcolm. Coming out, that proves not to be the case. There are 99 votes in the room. Turnbull wins 54 of them, Abbott 44. One numpty votes informal. A Daily Telegraph sports columnist voices his suspicions. We have a new Prime Minister. It’s another Lazarus with a triple bypass. A new hashtag gathers steam. #Returnbull. People speculate about what kind of leader our 29th Prime Minister will be. “It won’t be boring,” Chris Uhlmann assures us. The ghosts of Prime Ministers past welcome the newest one to the fold. Julia Gillard seems genuinely pleased. Kevin Rudd, his latest United Nations manoeuvrings interrupted by these menial events back home, passes on his lukewarm regards. From the 28th Prime Minister, there is only silence. This one can’t be covered in a slogan. Except, perhaps, #putoutyouronions. Q&A was on ABC2, though last night that was almost the same as off-air.